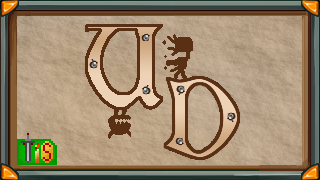 The second (and probably final) part of the UI I've been designing for a flash game under development. Goes with my previous buttons and achievements. 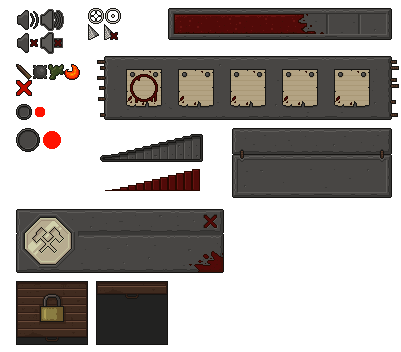 This one features some icons, cursors, a toolbar (the one with papers), a progress bar, a slider, a panel and an achievement unlock panel. 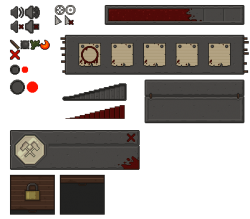 The one with the lock is meant to be the icon for the level selection screen, and the round thing below icons is a circular reload icon. I'm available for making additional pieces on request (possibly paid commissions). nice. is there a concrete ui part 1 somewhere?